Skin experts and scientists tout Blueberries as having one the highest levels of antioxidants than most other foods. We added Blueberry seeds to that healing extract along with Blueberry essential oil to help revitalize your skin with a healthy glow. 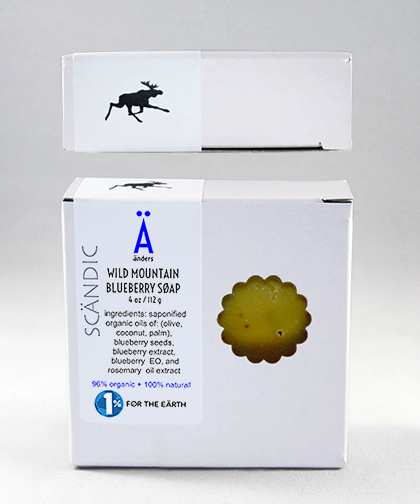 The Blueberry is a common widely harvested wild berry of Scandinavia. It grows in dry soil, especially in spruce forests and lichen-covered ground. Blueberries are very popular as an ingredient for its beneficial effects on skin. The berry extract contains large amounts of flavonoids, moisturizing properties, phenol compounds and antioxidants. The seed oil promotes skin renewal. Antioxidants and essential fatty acids (omegas) provide the skin with important nutrition. Blueberries have high levels of vitamin C, which protects and brightens the skin. The Blueberry essential oil is a proprietary blend of essential oils to create a realistic Blueberry scent.